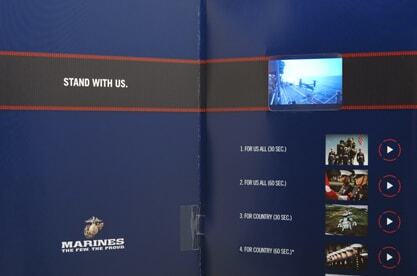 The United States Marines is a brand synonymous with leadership, loyalty and dedication. Five moving public service announcements (PSA’s) were created to capture these traits and to recruit like-minded individuals to the organization. However, it is notoriously difficult to motivate television stations to run PSA’s due to the lack of monetary compensation. The challenge was clear: Devise an innovative way to get television stations excited about spreading the message of the Marines. JWT partnered with Americhip to develop a direct mail piece with our patented 2.4” LCD screen embedded directly into the brochure. 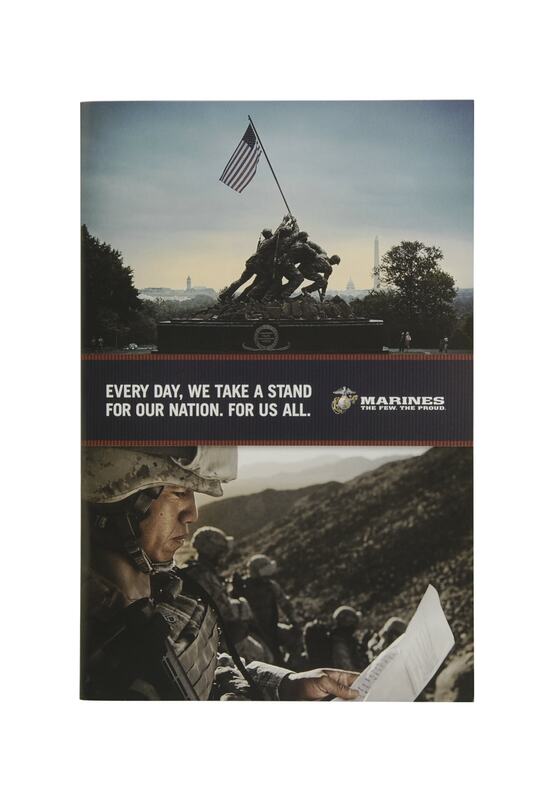 This was no ordinary mailer as it allowed television stations to preview five different public service announcements featuring stunning footage of the Marines in action. The video brochure was the perfect format to allow television stations to preview the public service announcements before agreeing to air them. It was so successful and well received that JWT ordered twice the amount they had initially requested. 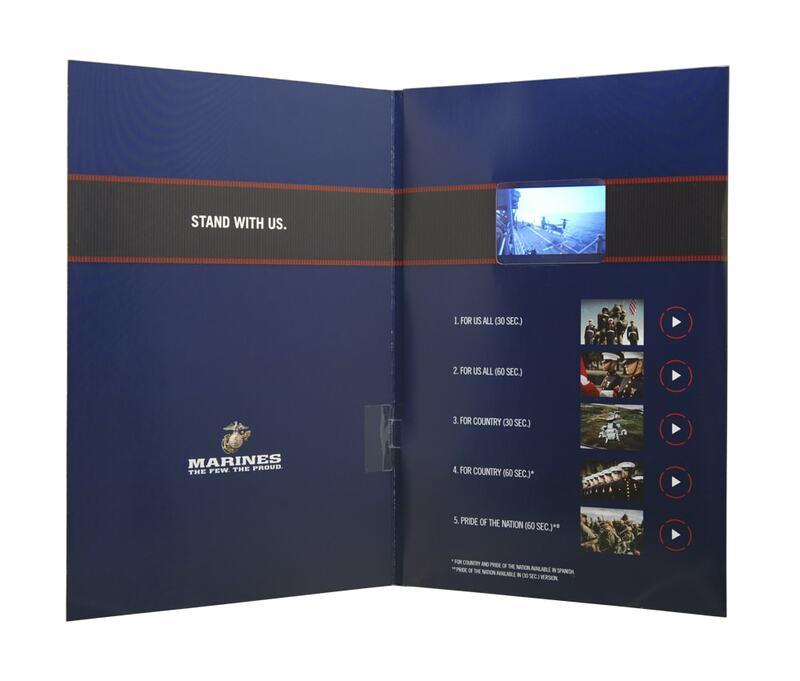 Shortly after the video brochure was shipped, the Marines received hundreds of phone calls from television stations and networks requesting additional information.